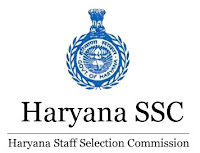 Haryana Staff Selection Commission Clerk's Offcial Answer Key. HSSC conducted clerk exam in Nov Dec 2016 for clerk recruitment. Now official Answer Key for all exams held for, published. You can match your answer key with duplicate copy of your OMR sheet provided for you, and can calculate your score in that exam. To download answer key please click on the download button given below.